Falling Water. Flickr.com. “mangpages”. Photo taken: 4/24/2008. DECEMBER 12th-13th, 2018: Colorado Rural Water Association 4-Corners Training with BioLynceus: Wastewater Operations. BioLynceus has partnered with Arizona, Colorado, New Mexico, and Utah Rural Water Associations to provide two days’ worth of Wastewater Training! CRWA will be on-site to help with the training as well as Rick Allen of BioLynceus and other State Association Staff. This day of training will focus on wastewater operations, maintenance, biological nutrient removal, improving water clarity in wastewater, and system issues. Lunch and snacks will be provided. Full details and registration can be found HERE. 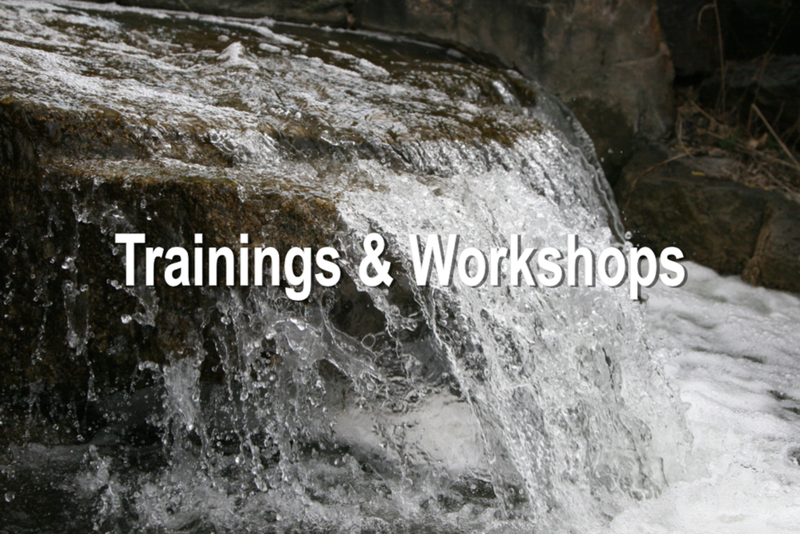 MARCH 4th-5th, 2019: QUALIFIED MS4 STORMWATER TRAINING. In this two-day course we will cover all the topics to ensure that you meet the regulatory requirement to conduct Stormwater Inspections. We will review the requirements of your state MS4, Construction, and Industrial General Permits; we will discuss what it takes for you to be in compliance with the permits; we will discuss inspection techniques that will help you better evaluate whether or not other permittees are in compliance with their permits – and how that influences your permit compliance; and, yes, we will discuss BMPs – which are best, when to use them, how to use them, and how to know if BMPs are correctly installed and maintained. For details, including registration, click HERE. APRIL 1st-3rd, 2019: After the Flames Workshop and Conference. Experts warn that year-round fire season is the new normal. Wildfire is no longer "if" it will occur, but rather "when." The impacts of a wildfire last long after the flames are extinguished. Community leaders, agency representatives, property owners, and anyone impacted by wildfire is invited to join this interactive workshop and conference featuring recovery experts and agencies engaging After The Flames.